What a better way to have a blast in Wizard101 than coming together and dancing in the commons. Create an friendship card with your friends. How would you show you and your friends playing Wizard101 or Pirate101? 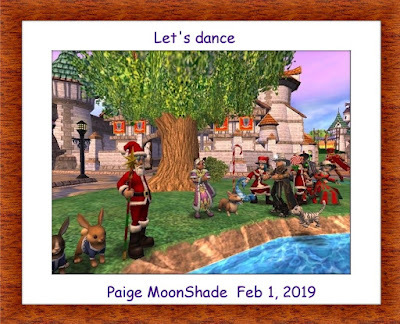 * Take a screenshot in game and make a friendship card to show how you and your friends playing Wizard101 or Pirate101. * This contest begins February 1, 2019 and ends February 10, 2019 at 2:00 pm Central time. * Create your friendship card how ever you like, by using paint, gimp or any other format. You must use a screenshot either game though. * Write a short paragraph about your screenshot. 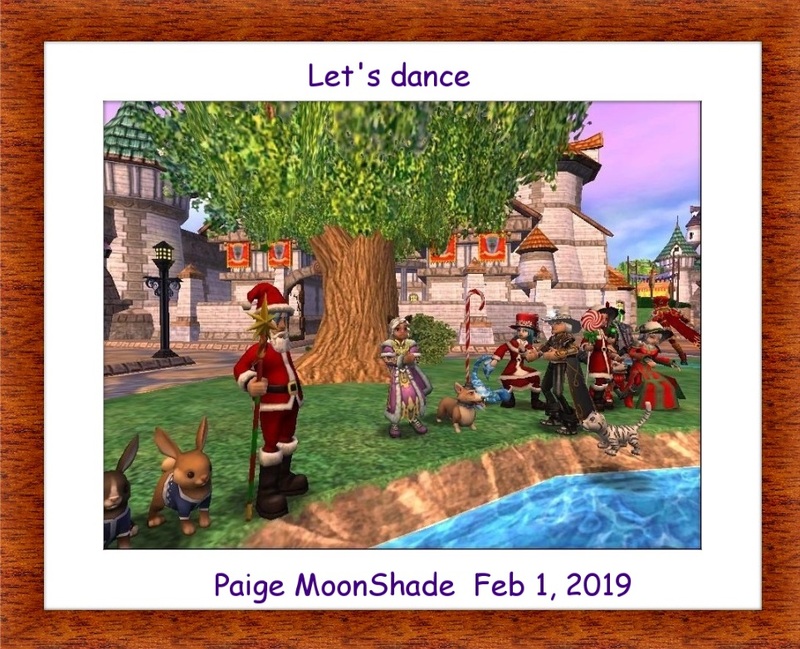 * Send your entry to to ContestPaigesPage@gmail.com with title "Wizard101 Friendship Card" for Wizard101 entries. "Pirate101 Friendship Card" for Pirate101. * You may only enter once. You choose the game. Codes can be redeemed from any location worldwide, but are only redeemable at https://www.pirate101.com/promo or https://www.wizard101.com/promo for use on the KingsIsle version of Wizard101 or Pirate101 . This promotion cannot be redeemed for Gameforge or Taomee hosted versions of Wizard101. * Redeem your item(s) from the in-game gift window or look for rewards of Crowns to appear in your Crowns History. If you encounter an problem redeeming your game code, please send an email to community@wizard101.com and include your code and account name, but never the password!